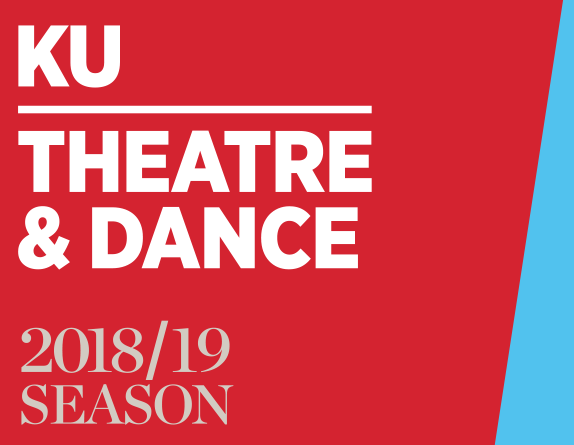 The public performances of the University Theatre and University Dance Company will look and feel slightly different this season as result of the recent merger of the University of Kansas departments of theatre and dance. The public can expect to see common themes throughout dance and theatrical productions in fall of 2018 and spring of 2019, offering an entertaining and enriching season selected and approved by the newly merged faculty. The University Theatre and University Dance Company aim to provide the community with a more immersive, cohesive and relevant cultural experience, said Katherine Pryor, Director of Theatre. From a Greek tragedy to Shakespeare to popular new works, the University Theatre’s selections provide the community with an affordable way to enjoy thought-provoking stories, cutting edge design, and amazing musical theatre in the heart of KU’s campus. The University Dance Company will embrace the concept of adaptation to generate new works for its fall dance concert. In the spring, guest and faculty choreographers will collaborate to present an evening devoted to the roots of skiffle music to tie into the University Theatre’s play “One Man, Two Guvnors.” This season’s guest choreographers are Mariana Oliveira and Belén Maya. The first production for the University Theatre is “A Man of No Importance.” In this musical, the main character faces adversity when his sexual orientation is “outed” in a close-knit community. Another fall 2018 highlight is the award-winning new play “The Curious Incident of the Dog in the Night-Time,” which follows 15-year-old Christopher, who is on the autism spectrum, through an investigation of a dog’s death. The University Theatre will hold auditions the week of August 27 for an actor who self-identifies on the autism spectrum to play the part of Christopher. A new play called “Sycorax,” planned for spring 2019, also features a black lesbian protagonist. Rounding out the season: the classic Greek play “Electra,” the farce “One Man, Two Guvnors,” and the opera “A Midsummer Night’s Dream,” which will be produced in conjunction with the KU School of Music. All theatre and dance performances are open to the public and ticketed. Led by Alfie Byrne, the St. Imelda Players are a (fairly terrible) amateur group who struggle to produce Oscar Wilde’s “Salome” in the social hall of the Catholic parish church. They navigate societal expectations and secret crushes only to find that no one’s romantic life is simple, but that in the end “you just have to love who you love.” Set in 1964 Dublin, the musical celebration of theatre, identity and community is based on the Albert Finney film by the same name. In this play based on the best-selling 2003 novel, Christopher, a 15-year-old English boy, discovers the neighbor's dog has been murdered and decides to investigate. Christopher is on the autism spectrum and carefully records each fact in a “murder mystery” book, which provides a look inside his intricate mind. What he discovers upturns his world and empowers him to pursue his dreams and face his fears. Harry Parker, a KU alumnus and chair of Texas Christian University’s Department of Theatre, will serve as the guest director, which is made possible by the Ronald A. Willis Visiting Scholar/Artist Fund. In 1963 England, a skiffle player named Francis is kicked out of his band and becomes separately employed by two men: a small-time gangster and an upper-class twit. In action-packed, hilarious and downright ridiculous scenes, Francis goes out of his way to serve two “guvnors” and keep his dual employment a secret. And, he’s not the only one hiding something in this 2012 Tony Award-winning farce, an adaptation of “Servant of Two Masters,” a 1743 Commedia dell'arte play by Carlo Goldoni. “A Midsummer Night's Dream,” the opera, is adapted from William Shakespeare's play by the same name. The classic comedy consists of romantic tangles, brought on by interference from the fairy world, connected to the celebration of the “royal wedding” of Duke Theseus of Athens and the Amazonian queen, Hippolyta. Set in an enchanted woodland, it explores themes of love, betrayal and especially fantasy. Staged in cooperation with the School of Music featuring the KU Symphony Orchestra. To celebrate the inaugural year of the Department of Theatre and Dance, faculty and guest choreographers embrace the concept of adaptation used in theatre to create new choreographed works. Some of the works being adapted are Ann Rice's “Interview with the Vampire” and Michel Fokine’s “The Dying Swan,” originally adapted from the Tennyson poem of the same name. Using styles ranging from classical ballet to African diaspora to modern, the dance concert communicates themes of cultural and sexual identity and environmentalism. Originally from Brazil, guest artist Mariana Oliveira has set works on the Joffrey Ballet and the Kansas City Ballet, among others. Her residency is made possible by the John M. and Francis R.B. Peterson Guest Artist Fund. A solo show, this experimental contemporary dance theatre work incorporates text, movement, percussive footwork, circus feats, street busking and more to a score of music by Roma women. Belén Maya, an innovator and critically acclaimed performing artist, became instantly recognized around the world in Carlos Saura’s 1995 film “Flamenco.” In “Romnia” (women in the Romani language), Maya performs “many women at the same time…whose laughter and mourning have become movement and beauty.” (Joaquín López Bustamante). Her work at KU is made possible by the Janet Hamburg Guest Artist Fund. Choreographers collaborate on a concert devoted to the roots of skiffle music to tie into the University Theatre performance of “One Man, Two Guvnors,” by Richard Bean. Skiffle is a British music genre based on African American popular music. UDC choreographers will honor the roots of skiffle in this concert. Classical ballet, jazz and contemporary dance will be performed. The University Theatre and the University Dance Company are the performance and production wings of the Department of Theatre and Dance and offer eight to ten productions to the public during the academic year. Both the University Theatre and University Dance Company productions are funded in part by Student Senate fees. The newly merged department is one of three departments in the School of the Arts. As part of the KU College of Liberal Arts and Sciences, the School of the Arts offers fresh possibilities for collaboration between the arts and the humanities, sciences, social sciences, international and interdisciplinary studies. For more information on the University Dance Company, please visit dance.ku.edu.